The Culpeper Wellness Foundation became an independent 501(c)(3) non-profit when the University of Virginia Health System became the sole owner of the Culpeper Regional Hospital in 2014. The Foundation invests its time and resources in community initiatives that improve health in Culpeper, Madison, and Orange Counties. The Foundation operates the Free Clinic of Culpeper, Powell Wellness Center and Culpeper Sport & Fitness. The Free Clinic of Culpeper delivers high-quality medical care to uninsured adults in Culpeper County. Powell Wellness Center (PWC) helps individuals achieve physical and emotional well-being through regular exercise, physical activity, and medically integrated services. One of only three medically integrated fitness centers in Virginia, PWC was recognized as the Certified Medical Fitness Facility of the Year by the Medical Fitness Association in 2018. PWC hosts monthly wellness programs for the community, and its aquatic complex serves therapeutic needs and offers aquatic fitness and member and community swim lessons. 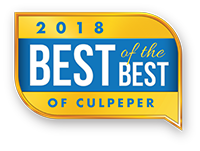 Culpeper Sport & Fitness (CSF) offers group exercise classes, indoor tennis, Pickleball, sports performance training, personal training, small group strength and conditioning coaching, weight and cardio equipment, Taekwondo and Kid’s Corner services. CSF serves the wellness needs of area youth with Taekwondo, tumbling, tennis, boot camp, and athletic team training programs. CSF works closely with youth community organizations and schools to offer fitness programs. To learn more about how you can invest in keeping our community healthy, contact us at 540-431-2397. To improve health and promote wellness in Culpeper, Madison and Orange counties.